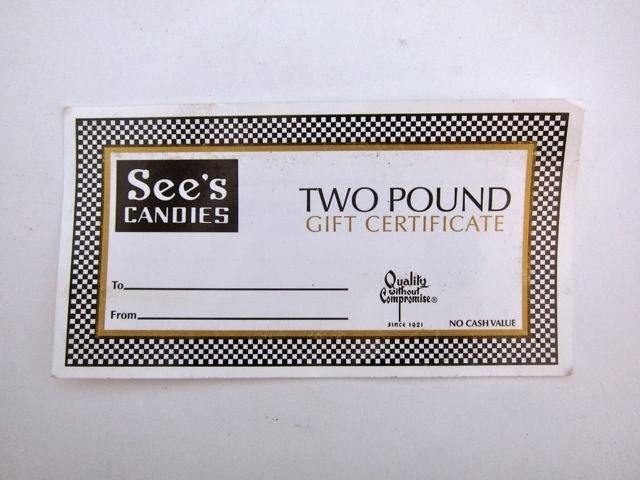 Sasaki Time: Giveaway: See's Candies Two Pound Gift Certificate! Giveaway: See's Candies Two Pound Gift Certificate! Win a See's Candies Two Pound Gift Certificate! I shared this on facebook! tagged you! Shared and sent a Tweet.